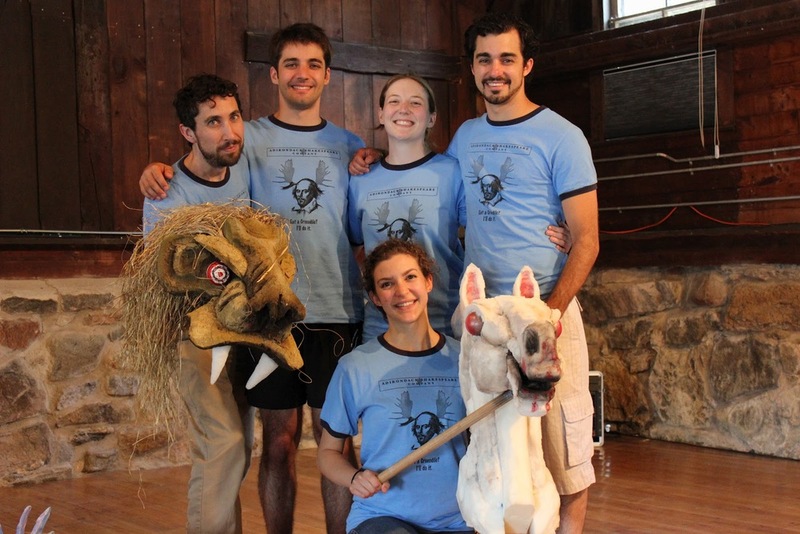 ADK Shakes, Schroon’s own Shakespeare company -- now here for their third summer -- is off to a roaring start with the hugely successful production of Hercules, under their belts. Now the company of 12 are in in full-tilt boogie rehearsal mode for their upcoming productions of the Twelfth Night, Hamlet and Rosencrantz and Guildenstern Are Dead. Artistic Director Tara Bradway talked all about the new season, the company, and their unique approach to presenting Will’s Words, with NCPR’s Todd Moe. You can hear the interview here. And mark your calendars now for this Saturday night’s premiere of Twelfth Night, at 7.30 pm at the Boat House. For ticket info click here.